DividendMax»Company Coverage»Country:United States»Exchange:NASDAQ»Sector:Technology Hardware & Equipment»Company:Intel Corp.
Back in 1968, two scientists, Robert Noyce and Gordon Moore, founded Intel with a vision for semiconductor memory products. By 1971, they had introduced the worlds first microprocessor. Since then, Intel has established a heritage of innovation that continues to expand the reach and promise of computing while advancing the ways people work and live worldwide. 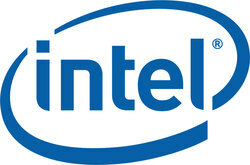 Intel has a very good track record of increasing the dividend to shareholders in recent years.